The Dolby Conference Phone brings everyone into the room. 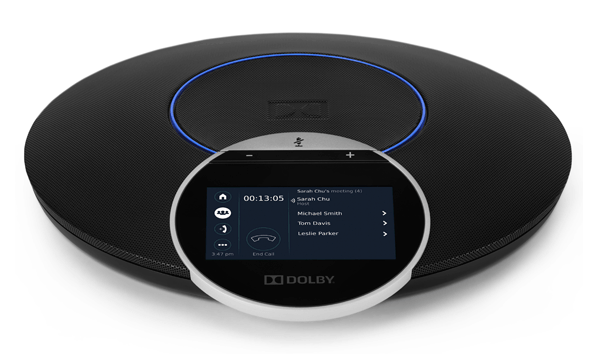 Conference phones can do better — much better — and finally the Dolby® Conference Phone delivers, setting a new benchmark for audio quality, across all kinds of rooms, in a modern design that’s impressively easy to use and manage. The phone utilizes advanced technologies that continuously map room sound, distinguish between talkers and noise, and cancel out distractions while enhancing the sound of speech. Provides outstanding performance in rooms of all configurations and sizes — even rooms with challenging acoustics.